The other day I was walking my dog, Evee, and all of a sudden I had to go. I guess I drank too much water before leaving. (Is 6 oz. really too much?) I kept walking anyway, feeling that it shouldn't be that hard to hold it until I got back home. The pollen in the air was something else that day! I sneezed.....Uh oh, my walk was shorter that day than I planned! Seriously, though, there were some real complications for me that day. It should have been a pretty simple scenario! But it wasn't, because I didn't anticipate some minor bladder leakage. First of all, do I really need to limit my water intake these days before I head out on a walk? And do I need to make sure that there are no traces of pollen in the air, in case I sneeze? 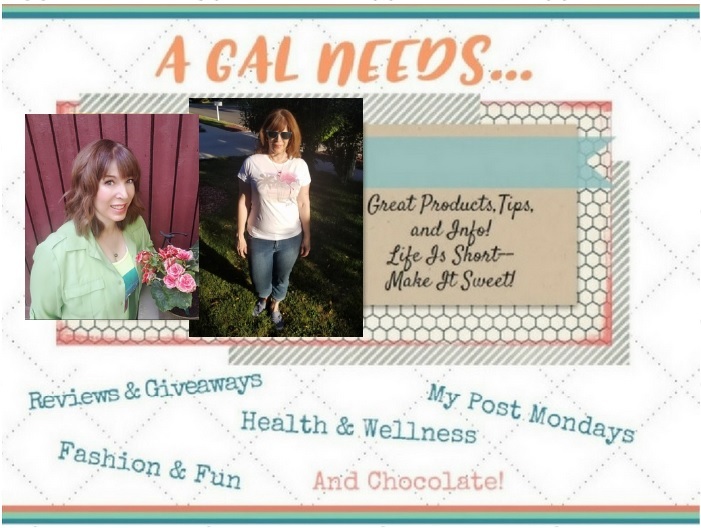 I'm here to tell you, it doesn't need to be that complicated! 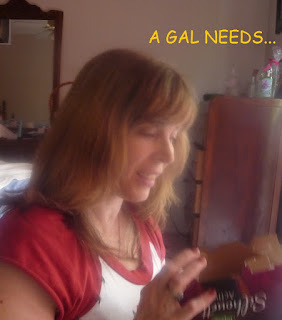 I don't need to feel like I'm the only one, either, because according to non-formal studies and surveys, I'm just one in millions of women who aren't in the "old" category and who experience light bladder leakage. How many to be exact? Over 51 million! That's 1 in 3 women! Actually more ladies with bladder leakage problems are 50 or younger versus 60 or older! In fact – more ladies with bladder issues are in their 20s than 80s! I know this statistic surprised me but also made me feel so much more like I'm normal. It seems relevant that I was contacted by the Depend Company to help raise awareness! Depend is entering year #2 of Underwareness, a social movement and charitable cause to break down the bladder leakage stigma. So I wanted to check out what all the fuss is about...women taking off their pants, women raving about how these new briefs are just like you're wearing underwear with the same thickness, the same rise, the great beige and black colors... I went to my local WalMart and picked up the Depend for Women Silhouette Active Fit, Moderate Absorbency Briefs in S/M, 12 Count. They feel like they are made to be absorbent, and they are, but they look exactly like a brief. They are perfect for when you're in places where there won't be restroom access for awhile or when you're doing sports or being active for an hour or longer. They are even good for yoga! It certainly beats the alternative--not being able to do what you had planned on doing! 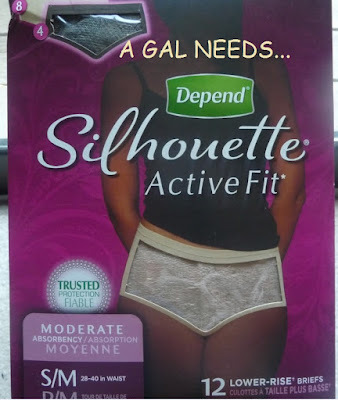 Bladder leakage happens and I encourage you to visit www.Underwareness.com to support the cause* and request a free sample of Depend Silhouette Active Fit. Try it for yourself! *For every photo and video shared using #Underwareness and featuring Depend products, the Depend brand will donate $1, up to $3 million, through 2016 to fund charities that advance the research and education of bladder leakage. Very very helpful.thanks for sharing.